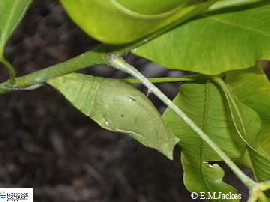 Melicope elleryana (Euodia) is the main host plant for this butterfly although the larvae will feed on other Rutaceae. 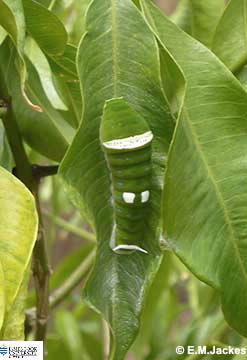 Mature larvae green with a series of spots, blue, green and white; head pale green. 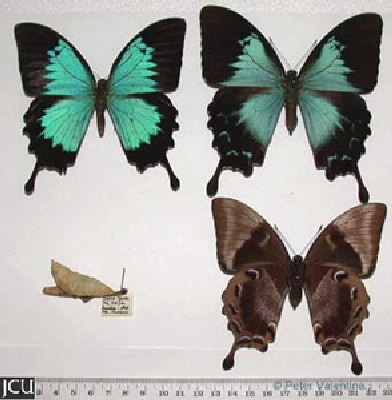 Adults are black with large areas of iridescent blue and a prominent black tail; lower surface in brown shades with some bluish subterminal spots on hind wing.